In a large bowl, mix first eight ingredients. In a measuring cup or small bowl, combine Edensoy, barley malt, oil and vinegar. Let sit 2 minutes to thicken like buttermilk. Stir liquid mixture into dry ingredients. Batter will be fairly thick. Oil a griddle and heat. For each pancake, pour 1/4 cup batter onto griddle. Cook over medium heat until edges begin to look dry, about 1 to 2 minutes. Flip and brown on the other side. 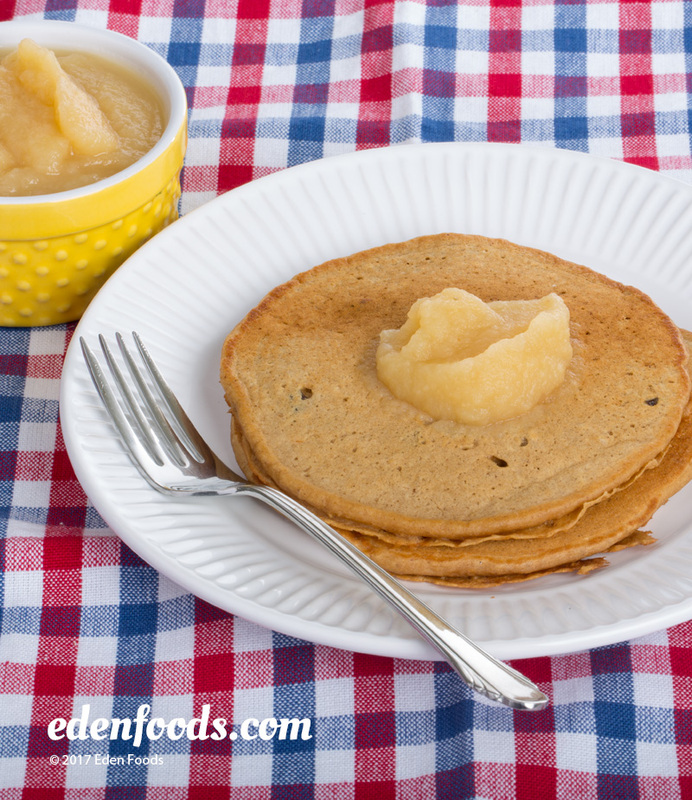 Serve with warm Eden Apple Sauce, Eden Apple Butter or pure maple syrup.